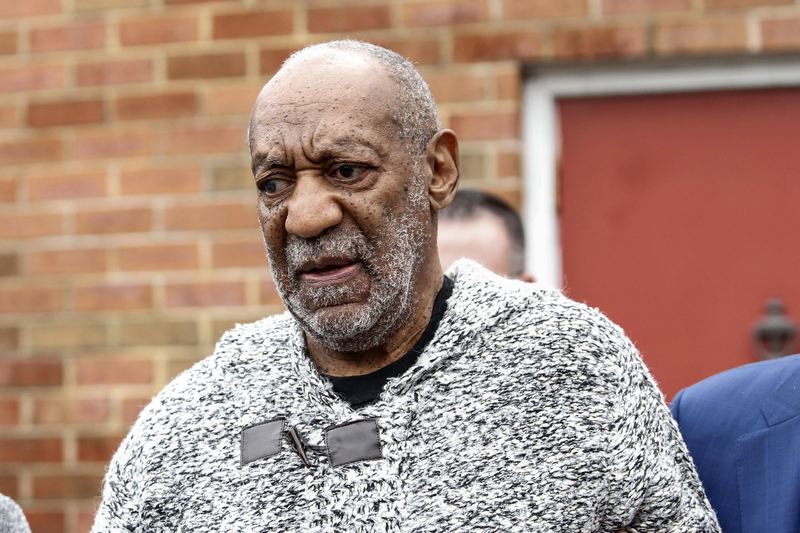 During an arraignment in Pennsylvania on Wednesday, Dec. 30, Bill Cosby was charged with alleged aggravated indecent assault. The second degree felony charge is in response to claims from former Temple University employee Andrea Constand, who alleges that Cosby drugged and violated her in his home in 2004. While public sexual abuse allegations against Cosby trace back to the mid-2000s, it wasn't until comedian Hannibal Burress made a joke last October that reignited media attention on the topic. In response to the increasing number of allegations against Cosby, there have been two particularly notable and powerful covers — the New York Daily News ' front page on Thursday after Cosby was changed and New York Magazine's cover from July. Both publications elevate the voices of the female victims and that's so important. The charge by the Montgomery County District Attorney's office came as no surprise. Filed 12 years after the alleged incident and coming on the heels of a hotly contested election for this county's DA during which this case was made the focal point. Make no mistake, we intend to mount a vigorous defense against this unjustified charge and we expect that Mr. Cosby will be exonerated by a court of law. Meanwhile, the media didn't dismiss the seriousness of this news. On Wednesday night, the Daily News — which is known for its controversial covers that tend to push the envelope — revealed what its front page would look like on Thursday. Featuring a picture of Cosby's mug shot, the headline reads: "He said-She said, she said, she said, she said, she said..." The "she saids" appear 55 times, to represent the many, many women who came forward with allegations of sexual abuse. The top of the paper reads, "After 55+ allegations, Cosby finally busted." The cover doesn't go easy on the 78-year-old comedian. The word "finally" also points out how long Cosby's accusers have waited for a legal response to any of the over 50 allegations of sexual assault. This front page emphasizes the voices of the female victims quite literally, as well as highlighting just how many women there are. These women should not, and cannot, be dismissed. In July, the magazine shared portraits of 35 of the women who had come forward with allegations against the comedian at that time. It also poignantly left an open chair to represent potential women who might not have come forward yet. This cover emphasized solidarity amongst Cosby's accusers. By sharing these women's stories and photos, New York Magazine sent a strong message that their words matter. The visual of so many women publicly accusing Cosby speaks volumes. The cover is hard to look at it, serving as a reminder of how shocking these Cosby allegations still are. Regardless of what happens from here — whether Cosby is indeed convicted of sexual assault against Constand or not — it's wonderful to see these publications value the alleged victims' stories and refuse to sweep their words under the rug.